19 Infantry Division under Maj Gen ED ’Souza was responsible for denying ingress to Kashmir Valley and protecting vulnerable areas against sabotage by infiltration. Because of snowfall and the severe winter conditions, the operating environment, especially for the attacker, was climatically disadvantageous and no major offensive along the high passes towards the valley was considered possible. But the exploitation of pro-Pakistani elements in the valley by staging a limited revolt against established authority could not be ruled out. To relieve D’Souza of internal security duties, a separate sector called V Sector was organised under Maj Gen Patankar and all the paramilitary forces deployed in the valley were placed under his command. Unlike in the 1965 conflict, D’Souza did not have to look back while fighting forward on the ceasefire line to ensure the security of the valley. This was done by Patankar. Even as India promotes regional connectivity and economic integration across its land and maritime borders, there is very little understanding of the importance of relations with Myanmar. We seem to forget that Myanmar borders four of our insurgency-prone states — Arunachal Pradesh, Nagaland, Manipur and Mizoram. When Prime Minister Narasimha Rao introduced the country's new “Look-East Policy”, Myanmar assumed a key position as India's land bridge to the fast-growing ASEAN economies of South-East Asia. Recognising that Myanmar itself was concerned about its increasingly close embrace of China, India supported its quest for membership of ASEAN. New Delhi also fashioned a multi-faceted framework of dialogue for enhancing economic and border security cooperation. The Iranians and Taliban used to be deadly enemies. But they’re finding common cause against the threat of Islamic State followers in Afghanistan. LONDON — A bloody clash between the Afghan Taliban and followers of the so-called Islamic State late last month in western Afghanistan has exposed critical shifts in alliances in a war the United States is still trying to fight. Most important, there appear to be consultations, at least, between the Taliban and Iran about how to meet the growing threat posed by the extremists of ISIS, as the self-proclaimed Islamic State is widely known. An Afghan Taliban commander and former provincial governor in the days when one-eyed Mullah Omar ruled Afghanistan tells The Daily Beast that the battle on May 24 in the Khaki Safe area of Farah province near the Iranian border left at least 22 people dead, including 13 associated with ISIS and nine Taliban. “This was the biggest fight between the Afghan Taliban and ISIS followers so far,” said the former governor, who is still deeply involved with Taliban military operations and asked that his name not be used. Sanctions have done little to prevent Iran from spreading its influence throughout the Middle East. With deadline day for nuclear negotiations between Iran and six world powers less than three weeks away, supporters and detractors alike are gearing up to make their final stand. One line of argument increasingly used by opponents of a deal is the belief that sanctions relief—worth up to $150 billion, according toPresident Obama’s recent interview with Jeff Goldberg—will fuel Iran’s already extensive involvement in the various conflicts wracking the Middle East. The argument is certainly convincing—$150 billion can buy a lot of weapons and influence—but it is also misleading and demonstrates a dangerous misunderstanding of why Iranian influence has grown so dramatically over the years. To begin to understand Iran’s rise as a regional power, it is important to examine the mechanisms with which the country wins friends and influences people. China's moves in the South and East China Seas have the Asia-Pacific region worried. Is a new ADIZ on the horizon? “Aggressive,” “coercive,” “antagonistic,” and “hostile” are some of the words various Asia-security experts have used over the last several years to describe recent Chinese foreign-policy choices. Such talk heated up dramatically in November 2013 when China declared—with no official advanced warning—an Air-Defense Identification Zone (ADIZ) in the East China Sea, a geographic flashpoint between various powers in the region. This unilateral action sparked intense global debate as to the logic of such a move, but also amplified larger concerns over Chinese intentions throughout the Asia-Pacific and wider Indo-Pacific regions. In his article “Taiwan Can’t Save the South China Sea,” Michal Thim unfortunately doesn’t seem to grasp the true essence of both the East and South China Sea Peace Initiatives proposed by Republic of China (ROC, Taiwan) President Ma Ying-jeou. He also misses the widespread positive responses to the ongoing development of the initiatives. "[I]f the United States insists on publicly denying and routinely penetrating the 12-nm lines, China simply cannot bear the costs of inaction." U.S. Defense Secretary Ashton Carter recently proposed more-assertive military options for the Spratly Islands in the South China Sea (SCS). The new policy would dispatch U.S. naval ships to within 12 nautical miles (nm) of China-controlled reefs, currently being "upgraded" into islands, and conduct flyovers with navy surveillance aircraft. Several days later, a face-off between the two militaries occurred. The Chinese People’s Liberation Army/Navy (PLAN) issued warnings when a U.S. P-8 Poseidon maritime reconnaissance aircraft flew over China-controlled artificial islands. It is not clear whether this will become a sustained pattern. It is particularly worth noting whether the U.S. naval vessels will cross the 12nm line. A warship cruising close to the man-made islands is a much stronger signal and a more real threat, at least in the eyes of the public, compared to a surveillance or anti-submarine plane flying over at 15,000 feet. Whatever the outcome, Secretary Carter's proposal demonstrates that the U.S. military is considering a critical shift in its SCS bargaining strategy, shifting from sinking costs to tying hands. The news cycle has moved at a ferocious pace over the last several years as our attention has been sequentially riveted by predicament after unexpected predicament: from the Arab Spring to Putin’s annexation of Crimea, from the rise of ISIS to China’s extensive land reclamation on reefs in the South China Sea. As the pace of news, coupled with new social media technologies that further hype the new “trending story,” many foreign policy analysts can be forgiven for complaining of severe whiplash at the rapid turn of events. One storyline that seems to have been precipitously dropped by the media (with only few exceptions) concerns the Ebola Crisis in West Africa. It’s easy to forget that this issue was the dominant news theme last summer and fall. In September 2014, the Centers for Disease Control offered the dire, worst case prediction that as many as 1.4 million people in West Africa could be infected by January 2015. Some have faulted the U.S. response as coming too late to help the approximately 11,000 victims of the terrible disease. The perennial debate over how to deal with a rising China was recently sparked again following revelations that China is nearing completion of an airstrip in the disputed Spratly Islands. The construction of the airstrip, along with wider dredging operations in the Spratlys, is just one part of China’s attempt to assert its dominance over the South China Sea. American concerns regarding an increasingly powerful and ambitious China are certainly nothing new. Yet, developments like those in the Spratlys seem to have recently taken on an increased significance, as China continues to close the power gap with the United States. America’s democratic allies in the region, however, may hold the key to deterring future conflict with China. China released its tenth biennial White Paper on National Defence in the last week of May 2015. Entitled “China’s Military Strategy”, this is the first White Paper that focusses on a specific aspect of national security unlike the previous ones that were about objectives, force levels, training and military modernisation. Energy, Economics, and Security Program Director Elizabeth Rosenberg and Zachary K. Goldman, an Adjunct Senior Fellow at CNAS, describe challenges associated with the increasing use of coercive economic measures to tackle security challenges. These challenges include both changes to the structure of international financial system that might make it harder to use these tools in the future and a degradation of these measures’ integrity and availability derived from court contests, among other factors. The authors recommend principles by which the United States and its allies can keep these measures sharp, nimble, and effective in countering adversaries and threats in the future. There’s a book floating around social media called How to Survive in the West: A Mujahid Guide. The 70 page PDF details how a budding Western extremist can survive and thrive in hostile territory. It lays out advice on how to search the Internet privately, how to shoot and how to fight. Various news outlets such as Breitbart reported that Islamic State had released the guide. That’s terrifying, if true. The idea that Islamic State is training moles to move through the West and tear it down from the inside should frighten everyone. But a close reading of How to Survive in the West should calm those fears. Nasir al-Wuhayshi, leader of al-Qaeda’s branch in Yemen, was killed in a CIA drone strike last week. He also had been designated second in command of al-Qaeda’s global network. In separate strikes last week on veteran al-Qaeda leaders, the United States demonstrated again the extent to which it has perfected an almost eerie capability to find the world’s most wanted terrorism suspects in some of the world’s most chaotic environments and deliver lethal blows from above. But the continued spread of al-Qaeda’s ideology and the emergence of brutal new offshoots, including the Islamic State, have underscored the limitations of a U.S. strategy that remains largely reliant on “decapitation” strikes. Abu Jaafar al-Asadi is a young and rising Shiite star. Leading the charge against the ISIS in Iraq, Asadi is the secretary general of Jund al-Imam and the spokesperson of Popular Mobilization, the coalition of Shiite militias sponsored by the Iraqi Interior Ministry. A former student of the Iranian religious seminary in Qom, Asadi visited the US last week and delivered a speech at the Mobilization Is our Dignity Conference in Dearborn, Michigan. Born in 1971, Ahmad Jassim Saber joined the 1991 Shiite uprising against Saddam Hussein in southern Iraq while still in college. He was arrested and later released. He joined the Islamic Movement founded by an Islamic Daawa Party defector by the name of Mahdi Abed Mahdi, aka Abu Zaynab Al-Khalisi. What makes ISIL a lot like Starbucks? Both are expanding on account of their franchises. And both are doing so without much hindrance on the part of the US government and others. This does not matter much when it comes to a coffee chain with no more insidious an aim than to persuade 65 countries its brew is a sophisticated part of the cultural backdrop. It is of huge concern when it is an extremist group with ambitions to enshrine its brutal ideas in a state, complete with a ban on Apple products and buses that run from its so-called capital Raqqa to Mosul. The ISIL and Starbucks analogy comes straight from a devastatingly honest memo that Richard Stengel, the US state department’s under secretary for public diplomacy and public affairs wrote to his boss, secretary of state John Kerry. ESKI MOSUL, Iraq (AP) -- When the Islamic State fighters burst into the Iraqi village of Eski Mosul, Sheikh Abdullah Ibrahim knew his wife was in trouble. Buthaina Ibrahim was an outspoken human rights advocate who had once run for the provincial council in Mosul. The IS fighters demanded she apply for a "repentance card." Under the rule of the extremist group, all former police officers, soldiers and people whose activities are deemed "heretical" must sign the card and carry it with them at all times. "She said she'd never stoop so low," her husband said. Buthaina Ibrahim was an outlier in her defiance of the Islamic State. It would cost her dearly. 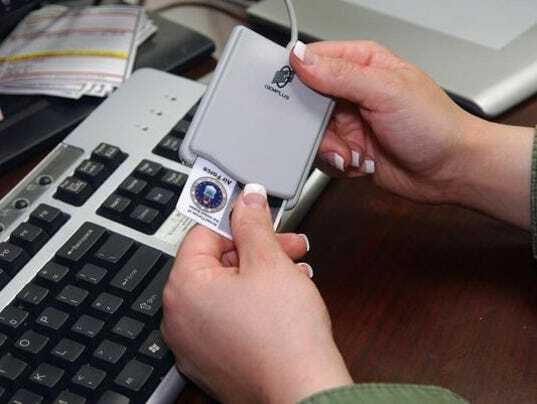 The Defense Information Systems Agency has released its 2015-2020 strategic plan, laying out core agency missions and objectives in getting IT services to Defense Department users. Reducing costs by cutting redundant capabilities and production. "We are at an operational crossroads," DISA Director LTG Ronnie Hawkins writes in the opening pages of the strategy. "We continue to operate in a contested battlespace, where the barrier to entry is low and oftentimes unchallenged. We must recognize that mission success is defined by our ability to pre-emptively disrupt, degrade, or deny our adversaries, both internal and external, unimpeded access to the information and capabilities of the Department of Defense Information Network (DODIN). We must sustain our operations and defenses before, during, and after an attack by reducing the attack surface, continually improving defensive cyberspace operations, and effectively commanding and controlling the DODIN." Exhausted by war and rising poverty, demonstrators demand to know why it continues. ODESSA, Ukraine — What seems to be a war without end has filled the hearts of many in Ukraine with anger. The national currency, the hryvnia, continues to collapse and the average salary in this European country has melted down to $150 a month. Many doubt their lives will improve any time soon, and many, mad as hell, are taking to the streets. Waves of protests have erupted from Lviv in the staunchly nationalist west to, importantly, Donetsk in the insurgent east. "The main focus of American policy in the aftermath of a deal should be to leverage the opportunities presented by the nuclear agreement while reducing the downsides and risks." If the deal is achieved, in ten to fifteen years the world could see a more moderate Iran, reduced instability in the Middle East, and a stronger global non-proliferation regime. But with poor execution and the wrong policies, the United States could face a very different world in 2025: a more hostile and aggressive Iran on the verge of acquiring nuclear weapons; a Middle East still drowning in sectarian violence and civil war; and an international perception that the nuclear agreement with Iran was a historic mistake. The lobbying for arming Ukraine has been underway for several months, but the passage of time has not increased the quality of what passes for a debate on this topic. This is particularly lamentable because the parties involved (Ukraine, Russia, Moscow’s Donbas allies, the United States and the EU) could soon start down a road that leads to a deepening of the conflict. On one side of the debate stands a disparate coalition that blames Russia for everything that has gone wrong since the February 2014 uprising that deposed Ukrainian president Viktor Yanukovych. Some within this camp insist that Vladimir Putin has transformed Russia into a neofascist state that is determined to resurrect an empire and trample global norms and international law along the way. To them, any effort to explain why Russia might have viewed the steady movement of the EU and NATO toward its borders with apprehension amounts to blessing Putin’s domestic and foreign policy and betraying democratic principles to boot. Explanation, in this view, is equivalent to endorsement. No lack of moral certitude here. The Pentagon is clearing the final congressional hurdles in the way of spending the entire $1.62 billion lawmakers approved last year to train and equip the Iraqi and Kurdish military. The first dollars from the fund were spent in the week of May 18, when an Iraqi brigade was equipped with rifles, machine guns, grenade launchers, assault packs and protective masks, according to the U.S. Central Command. Kurdish Peshmerga units will receive similar equipment within weeks with money from the fund, the command said. Defense Secretary Ashton Carter and Joint Chiefs of Staff Chairman General Martin Dempsey likely will be asked about the status of the expenditures Wednesday when they testify before the House Armed Services Committee about the Obama administration’s strategy to counter-Islamic State. Expenditures so far have been limited to incremental steps initially proposed by the Pentagon last year, including a cost-sharing agreement with Iraq and allies that’s being met, according to a military spokeswoman. The required steps also include submitting reports and certifications to Congress. Both Russia and the West continue to stage all kind of major military exercises and demonstrations, even while both accuse the other of provocation and aggressive intent. Are the drums of war beating? No, they're not — but we need to understand the real point behind these martial maneuvers, and the risks. At present, the NATO-led BALTOPS (Baltic Operations) exercise is seeing ships and men from 17 countries in the Baltic Sea, including non-NATO nations such as Georgia and Finland, wargaming joint operations such as a beach assault. This month and the next, Exercise Saber Strike sees NATO forces training in the region, too, while the Noble Jump exercise tests the capabilities of the new Very High Readiness Joint Task Force. Turkish politics has entered a new era. The outcome of the Turkish elections on June 7 was a milestone in the history of Turkish politics as the pro-Kurdish People's Democratic Party (HDP) entered the parliament for the first time, exceeding the 10 percent threshold with 13.12% of the votes. Moreover, the ruling Justice and Development Party's (AKP's) loss of majority has prevented the Turkish president, Recep Tayyip Erdogan, furthering his authoritarian and Islamist ambitions. Hence, the results have created the grounds to end decades of civil war, address the Kurdish predicament and stabilize Turkey and the greater region. Undeniably, the ruling AKP has been accredited with strengthening the economy and making a number of democratic advancements. Most importantly, it embarked on a new path to resolve the Kurdish question in Turkey as it announced "the Kurdish opening." However, the nature of the Kurdish opening has been contradictory. Treating the cyber domain like the battle zone it is will help fight growing cyber threats, said DISA Director Lt Gen Ronnie Hawkins. "It's culture, conduct and capability," Hawkins said. "The cyber domain is both an administrative and a warfighting capability…we have to change our conduct." In a newly released five-year strategic plan for DISA, Hawkins described the cyber domain as "a contested battlespace, where the barrier to entry is low and oftentimes unchallenged." That low barrier to entry is an often-cited problem. It doesn't take a lot of resources for hackers to make attempts to penetrate networks. And in areas where there may be security gaps, those attempts can escalate into massive breaches like those recently seen at the Office of Personnel Management. We have yet to digest the meaning of the reports that China allegedly broke into databases with information about millions of federal workers in the United States, and a new affair has already emerged in which Israel is accused of planting a sophisticated computer virus (called Duqu 2.0) in hotels which hosted the Iranian delegation for the nuclear talks with the US and Europe. This time too, the report arrived from Eugene Kaspersky's Moscow-based information security company. In his special art of publicity, he immediately caught the global media's attention without explicitly accusing anyone of the attack (it was only the press which attributed it to Israel). One has to be amazed by his speculative skills. He says the virus attacked several million computers in the world. Who can guarantee that those were the actual targets? Defense Department and national security political leaders are eager to attract tech minds. But are they willing to change enough? Last week, Sen. John McCain took to WIRED to explain how various provisions in the National Defense Authorization Act, orNDAA, would help bring young tech minds to bear on the military’s various problems. “By removing barriers to new entrants into the defense market. By adopting commercial buying practices,” by adding protections for intellectual property and technical data that contractors develop at their own expense, the Arizona Republican wrote, the Defense Department will attract the services of fast-moving Silicon Valley companies and the people who work in them. The Defense Department is instituting some efforts to curb insider threats, but those policies don't go far enough beyond the bare-minimum standards, according to a new report from the Government Accountability Office. DoD components have instituted six minimum standards mandated in an executive order aimed at protecting classified information and systems, such as providing training in insider threat awareness. DoD components also have implemented some recommendations from GAO, the White House and internal DoD guidance, but the components have been inconsistent, to the detriment of better insider-threat protection. For example, only three of six components reviewed have established baselines of normal activity, a foundational part of any anti-insider threat problem. DoD officials also have failed to analyze program gaps or incorporate risk assessments into their existing programs, the report noted. "Eight years of official, media-sanctioned cover-up of the U.S. government’s trampling of the rule of law may be coming to an end." Eight years of official, media-sanctioned cover-up of the U.S. government’s trampling of the rule of law may be coming to an end. Federal Judge Thomas C. Wheeler ruled Monday that U.S. government officials and their Wall Street advisors acted illegally in nationalizing American International Group (AIG) during the financial crisis in 2008. The ruling comes in a lawsuit brought on behalf of AIG’s 275,000 shareholders who opted to join the company’s former leader, Maurice R. (“Hank”) Greenberg, (who is currently the chairman and CEO of the C.V. Starr and a member of the board of the Center for the National Interest) alleging that government expropriated equity control of AIG and then used AIG to funnel capital to Goldman Sachs and a coterie of Wall Street banks. The Senate is expected to pass its version of the National Defense Authorization Act for fiscal year 2016 this week, and shortly thereafter to bring the Appropriations’ Committees defense bill to the floor. Although media attention on these bills has understandably focused on disputes such as the proposed use of the Overseas Contingency Operations fund to evade sequestration-imposed spending limits and the fate of weapons systems such as the A-10 Warthog, one smaller provision merits attention for its potential effect on both future U.S. military operations and the security of Israel.